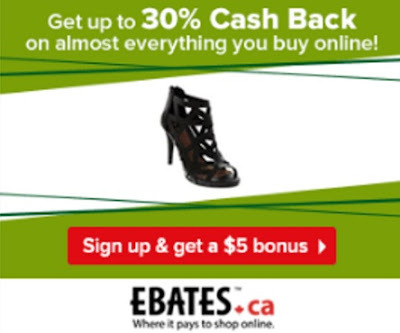 Ebates is the best cashback program online! If you shop online you should definitely be using Ebates to get cashback on your purchases! How does it work? Sign up for Ebates and when you want to shop any participating store that Ebates is affiliated with, go through the Ebates website and find the retailer, click on the link and shop away. They offer varying rates for each retailer, but you can earn up to 30% off! There are always promos where they raise the rates too. I often go through their Sephora links which typically pay 8%. When you sign up you can get a $5 bonus after your first purchase too! Which is great! The program is totally free and rewarding! I have been a member for a very long time. Click here to join Ebates.